Why should you paint in black and white when you can have a world of colors? ...An ocean of sound, An Ocean of Light! 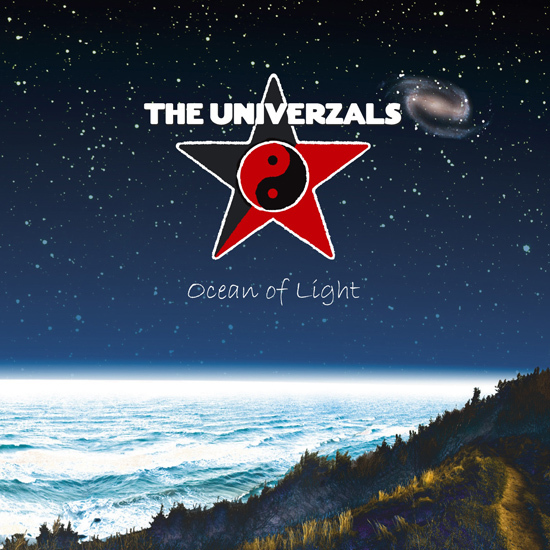 Singer/songwriter, Nicholas Hill, had an idea while in a Cuban prison, for the Univerzals debut album, Ocean of Light. 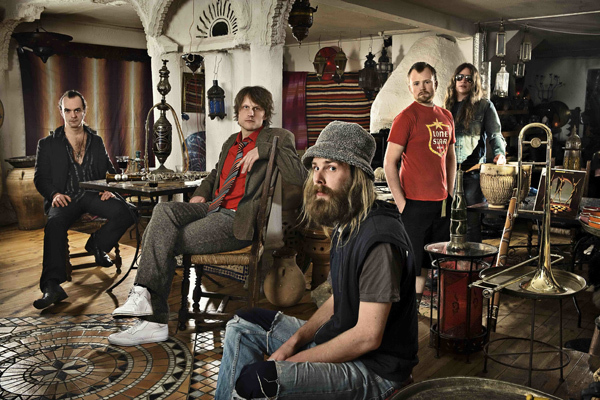 Also included as guests on the album are Peter Peter (Sort Sol, Bleeder Group) and Kurdish singer Mizgin. Description: Ethnic avant-garde ska meets acid punk metal over a cup of new age yogi tea! The Univerzals consider there music Suurealistic world rock- a compromiseless melting of many genera that seeks to challenge and question the borders of musical styles. Even though the musical spectrum is very broad, it is balanced and refined with an obvious connection to our musical roots in this timeless musical journey. Many of the songs are inspired by dreams, life and death, the universe and love. The Univerzals lyrics are fresh, challenging and are both spiritual and political at the same time. The Univerzals get creative claustrophobia from the conventional and mainstream but are not afraid of pop music. It is like a painter using a lot of colors, because life has many colors and facets. Like a painter, the band loves to create colors in music. The music on the album was created over a long time with a lot of hard thought, perseverance, and creative energy. The band has toured in Germany 6 times, and played in 2008 played 3 concerts at the Roskilde Festival camping area, where the band went down a storm! These concerts were part of the pre-release tour over the summer and fall, including the Margueritterute, created by the band. The tour was from Bornholm to Skagen including concerts I Thylejren, Chirstiania, Sandholmlejeren (Danish refugee holding center), Maira Kirke Plads and the streets of Copenhagen! All this was documented on video by people from the Film Academy and will be made into a small road film. The crew from the Film Academy and director from Zentropa (Christian Sønderby) is working on two video for the record. When the Univerzals rock the house, it is a guaranteed special evening for both the body and mind and your dancing feet! A authentic, fulfilling experience of original, well played high energy music, delivered with nerve, passion and burning desire to rock the audience. We would like to raise awareness about connections and parallels between culture and religion by showing that all of these have so much in common and we try to demonstrate the beautiful part of having a larger acceptance of other cultures and beliefs. By being able to admit and accept that we as humans can not perceive everything. It can be good to relax, have a cigar and think before starting wars, criticising cultures, people different from yourself, and things you don’t know or understand. We feel it is important and required to fight for individuality in these times of materialism, bloated egos, and racism. We don’t all have to be mass produced cavemen in suits and ties..